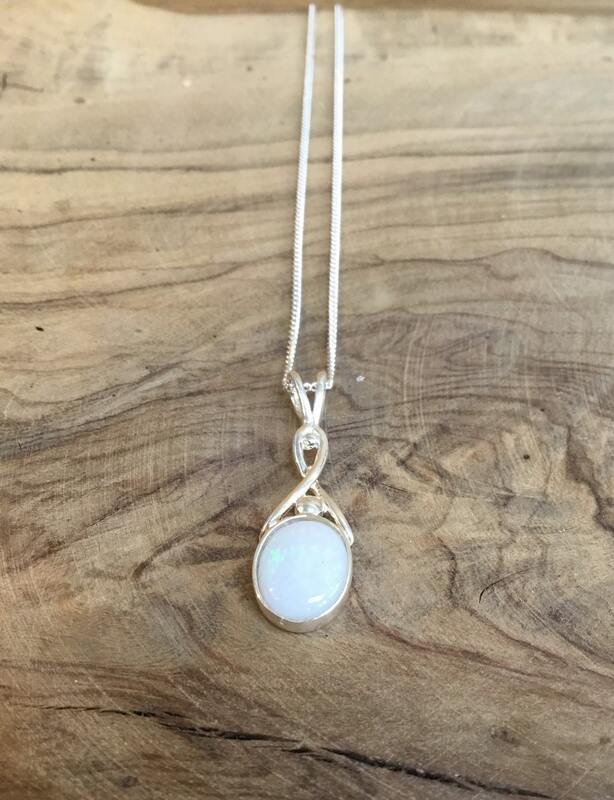 A Beautiful Opal Pendant Set in Sterling Silver On An 18 Inch Curb Chain. 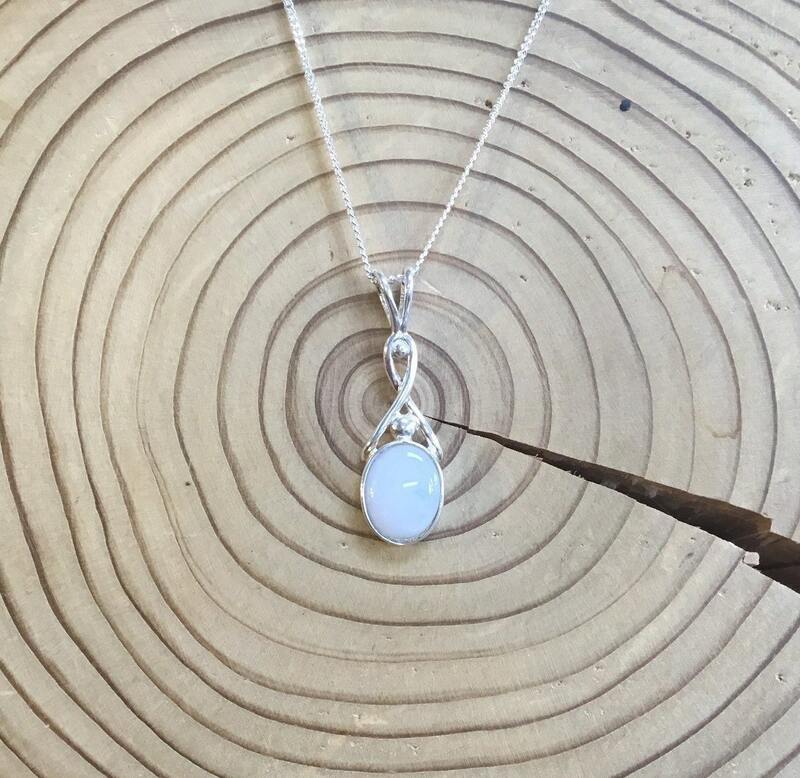 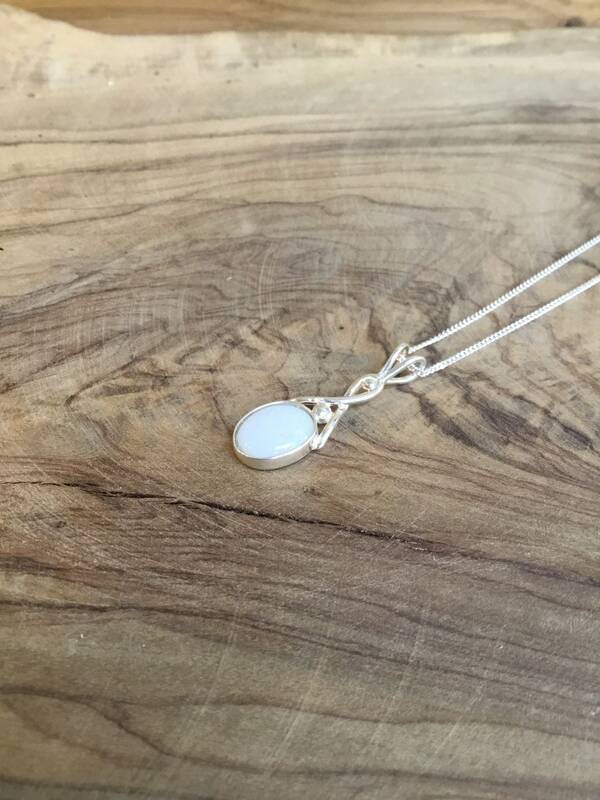 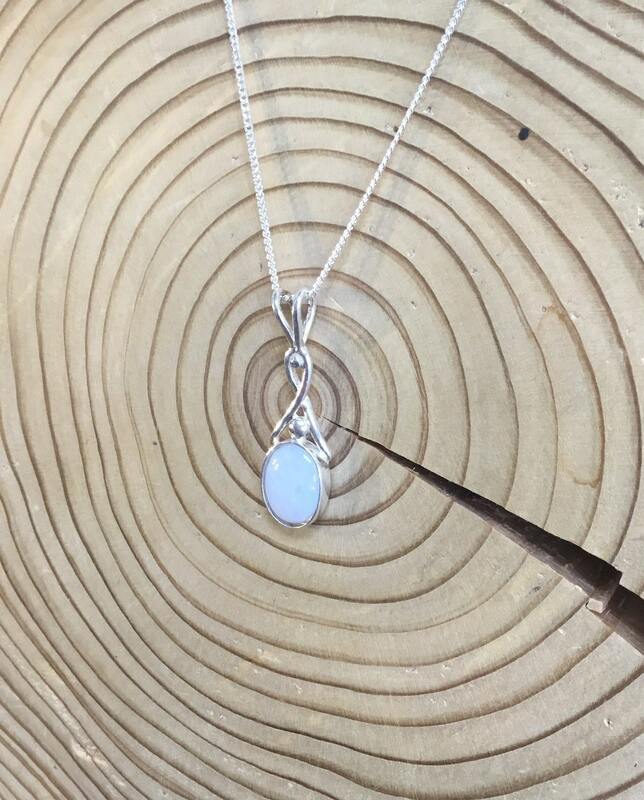 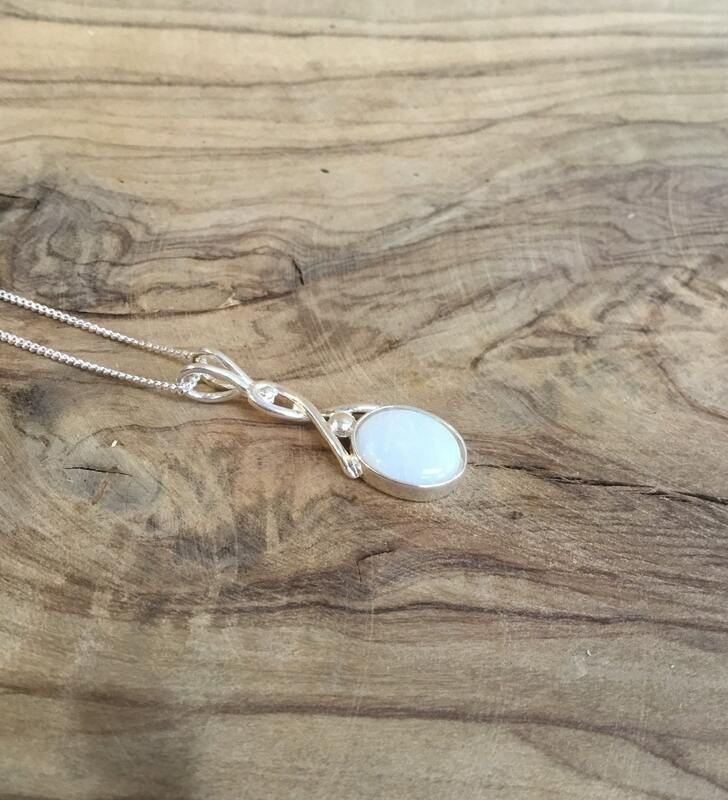 This Lovely Pendant is Set With a 10 mm x 8 mm Coober Pedy Opal, Set in a Simplistic Sterling Silver Setting. With a Milky Base Colour, Greens and Orange Flow Within. 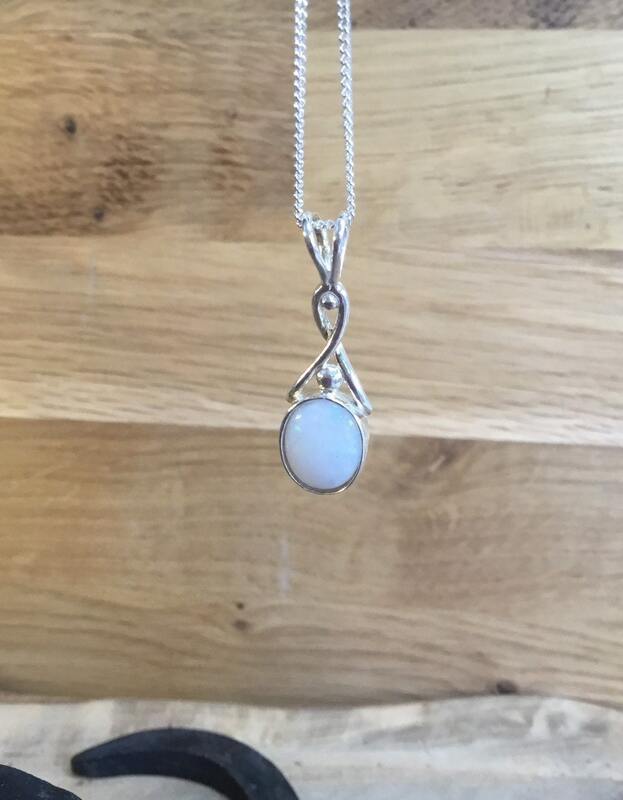 All Pictures Are Taken In Natural Light. 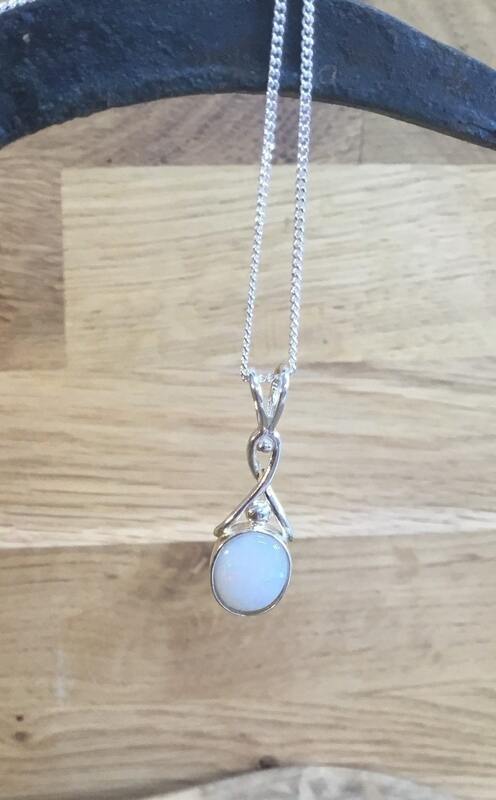 The Setting Including Pendant Loop Measures: 29 mm High, 10 mm Wide and 3.5 mm Deep.